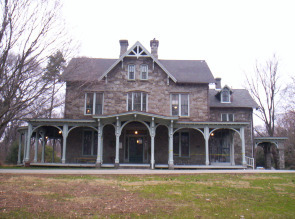 In the early days of Awbury Arboretum, the residents were all descendants of its founder. There were paths between the many homes that sit on the property and children would run from house to house. Over time, members of the family sold their homes and newcomers, all outsiders, came in. Eventually the original family was all but gone. The family compound feel, however, still remains, and that’s what makes Awbury a special place, said three members of the Awbury Arboretum Association. The founders of Awbury descended from Oliver Cope, a British man who immigrated to the colony of Pennsylvania in 1682. During the War of 1812, descendant Thomas Pym Cope ran a shipping business that created the original Cope family fortune after his ship the Lancaster passed through a British blockade of the Delaware River. Awbury’s history began in 1850 when Henry Cope, Thomas’ son, purchased land adjacent to his daughter and son-in-law, Mary and John Haines. “They had fallen in love with the idea of living in the country,” Johnson said. “It doesn’t look like that anymore, but it was all country” when he purchased the land. 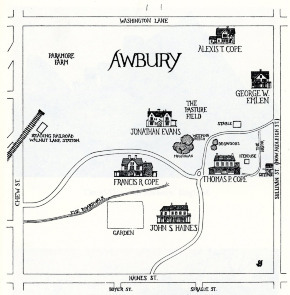 The name Awbury was “some sort of modification” of Avebury, the English town the Cope’s originated from, said Mark Sellers, Awbury’s chairman and facilities director. Two of Henry Cope’s sons, Francis and Thomas II, joined their father on the property along with their own families. When space in the original home became tight, Henry Cope built a second home for Francis in 1860, which is now known as the Francis Cope House and is Awbury’s headquarters. “About every 10 years starting in about 1850 they built another house,” said Sellers. “The house was typically built in the style of the times” by distinguished architects of the era, he added. 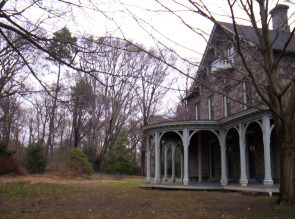 Awbury became what is now considered an arboretum because the Cope’s “adored trees. They absolutely worshiped trees,” Johnson said. Some trees, however, became harmful to the area. “Lord knows they planted plenty of stuff that was never here and is still sometimes the bane of our existence,” said Karen Anderson, the association’s executive director. “They were making what they thought were good decisions at the time based on the design they were trying to achieve,” she said, but trees such as the Norway maple were “extraordinarily invasive and hostile to the native species,” Sellers added. Until 1916, Awbury was a private space. During that time, five descendants of the Cope family, all women, had inheritances to the property. Instead of parceling the land off to children and other relatives, “they decided that they would have a park, that they would contribute their property to a trust and preserve this place,” Sellers said. The women saw the area transition from being a far-away family compound to an area that was slowly becoming surrounded by more modern neighborhood streets. Wanting “a green space for the quiet contemplation of nature,” the land was donated, Sellers said. “These are women who sort of went against the patriarchy, went a little bit against the grain, and made a park,” he added. The transition of the site from private to public was not easy, however. 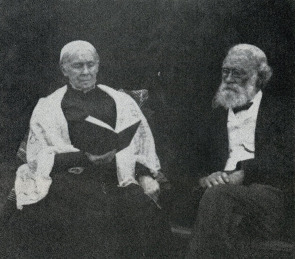 “It had always been looked on from the outside as a family estate and private property and [others] shouldn’t walk in so after this new arrangement of ownership and administration came, one little old Quaker lady decided she’d sit at the opening of the stone wall and invite people in for tea,” Johnson said. Currently, there are 22 homes that sit on the property that are deemed historically significant and “are now covered by the historic district,” Sellers said. Becoming a historical district in Philadelphia was no easy feat, however. 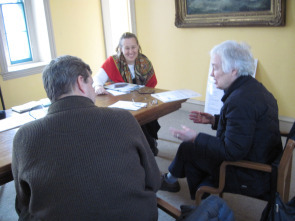 Although Awbury Arboretum was on the national registry of historic sites since 2000, it wasn’t until last year that it was put on the city’s registry. Johnson and Sellers thought it would be a good idea to get the arboretum as a whole on the city registry because the national historic district label “had no land use control associated with it,” Johnson said. After Awbury handed in the application, “the Street administration cut the historic commission’s budget and it sat,” Sellers said. "There was a time when Philadelphia’s government was fairly hostile to the historic commission,” he added, citing the possible impeding of development associated with historic districts. Once the funding was reinstated, Awbury was at the front of the line to receive historical district recognition and did right away. Awbury has not been without some controversy, however. In the early 1960s, a nursing home was built on the site. Sellers considers it to be “one of the greatest tragedies of Awbury,” and believes it should have never been built. “Over the objection of neighbors, a building that looks like Soviet-style architecture was built,” he said.